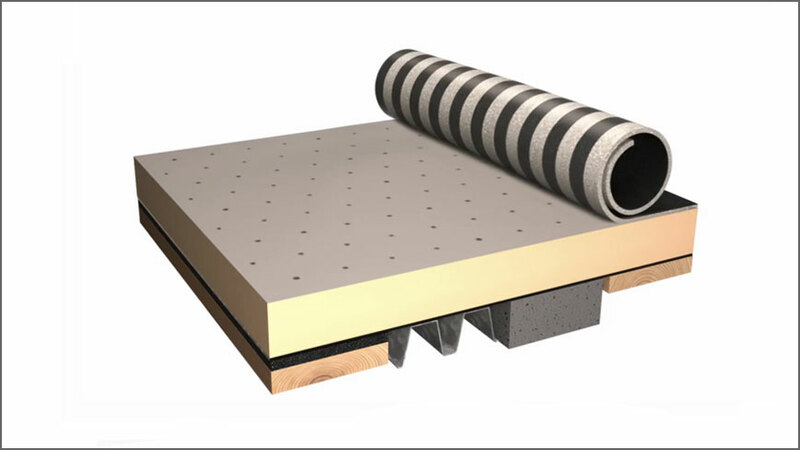 EshaTherm TK40 is a thermo adhesive vapour pressure distribution base layer for use in partially bonded two layer systems. EshaTherm TK40 is an SBS modified bituminised fibreglass fabric with a strip applied thermal adhesive coating. TK40 is loose laid in accordance with the Radmat specification. Torching the top layer activates the partially applied TK40 coating to allow it to bond to the substrate. When applying TK40 on existing bituminous or sanded substrate the surface must be pre-coated with EshaPrimer.